Such a fun finish today! I have long admired the Noodle-head divided basket. 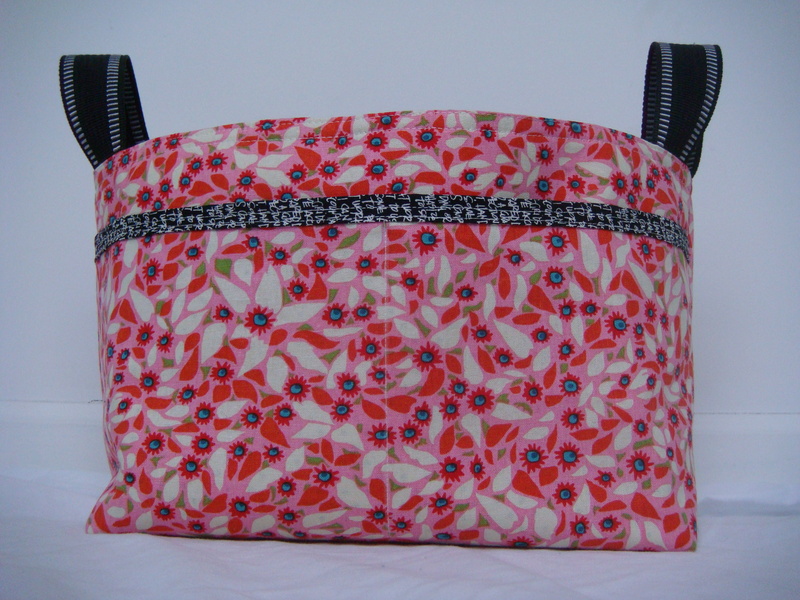 When I heard about the Sew Mama Sew giveaway day I thought it’d be the perfect opportunity to give it a try. I blocked off pretty much this whole week to work on it but that turned out to be completely unnecessary! I finished it in one day – maybe 5 hours of sewing time from cutting out the pattern pieces to taking the final stitch. Some of you who are more experienced at this type of project are probably laughing at me because perhaps that took longer than it should have! I’ve got big plans to make many, many more of these so I’m sure I’ll have a chance to speed it up a bit. This basket is big! I think it’s about 10 inches tall and 14 wide. It fits nicely on the Ikea Expedit shelves so many of us have! I included all the optional steps (lined pockets!) because that’s how much I love you guys. Come back on Monday for a chance to win this basket along with a few goodies I’m sure I won’t be able to resist tucking inside. This entry was posted in Uncategorized and tagged giveaway, Noodle-head divided basket. Bookmark the permalink. It`s just beautiful.Someone will be delighted.Have a fun weekend!! I love it! I’m glad to hear it was quick and easy- I’ve been wanting to make a few, but have developed a phobia about bag and basket making! I’ll definitely be coming back Monday! I have been wanting to make that basket forever. You did a great job, love the fabric you used. What a fun bag! 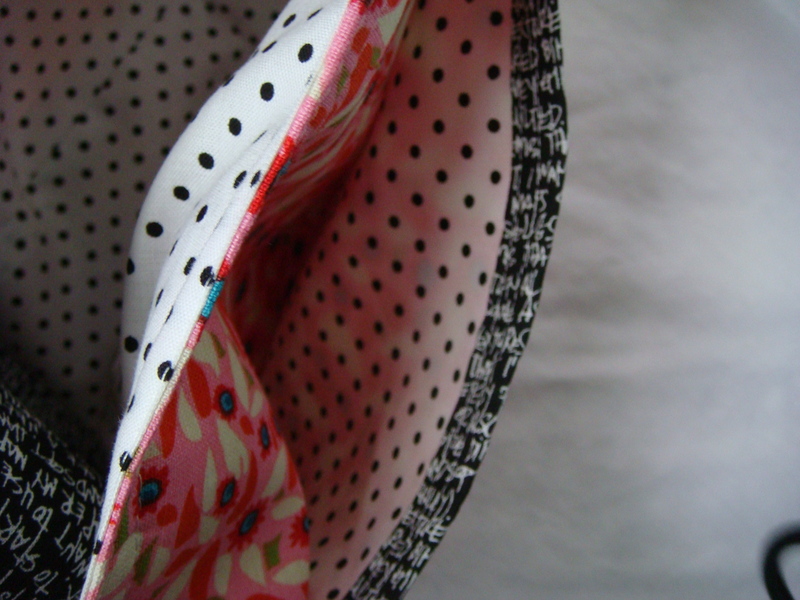 I’ve been too intimidated to try it (interfacing is to me, what spinach is to my toddler! )… but your post made me feel a little more optimistic. Thank you! What a cute basket and I love the fabrics you used inside and out. oh, me, me! I don’t have this pattern, but I’ve admired it! Will be back. A tisket, a tasket, love your little basket! Looks great! 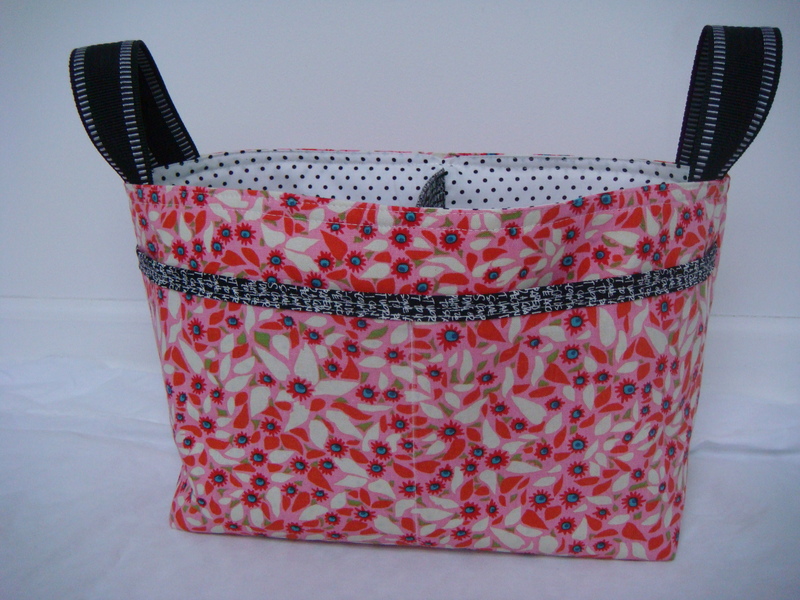 I like making fabric baskets, but I was a bit intimidated by that pattern, so I’ve never tried to make it. Maybe one day I’ll take it on! its fantastic 🙂 I will be back! Love this so much! Perfect fabric choice. It looks great – obviously a lot of effort has gone into this beauty and I’ll definitely be entering the giveaway! I love fabric baskets! I’ll be back! This looks so great! Makes me want to make another one. This time I’d use something a bit more stable since my first one is a bit floppy. Nice work! What a lovely basket, make me just want to make one, the colours you chose are lovely.